Indoor worm composting is a great Eco-friendly solution! Composting is an activity that will increase your contribution to a more sustainable planet and benefit the future generations. Our organic waste, when compiled and appropriately maintained can create fertile soil for reuse on lawns and gardens. 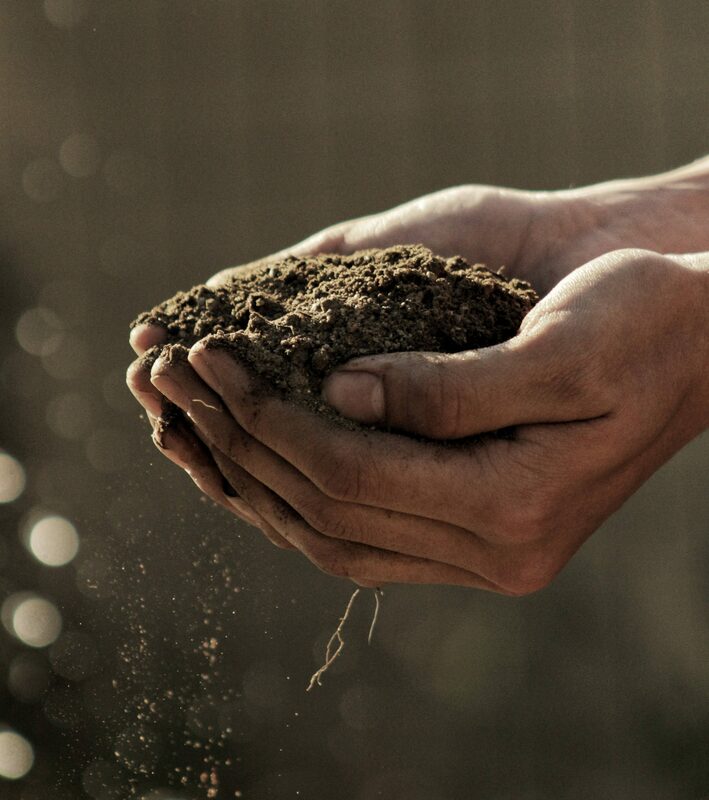 Composting can be very beneficial for soil enrichment and moisturizing, healthier plants, stimulation of beneficial bacteria and fungi production and landfill’s methane emission reduction, lowering your carbon footprint. Worm composting is when we use worms to speed up the process of transforming food scraps and other organic materials into humus called vermicompost, also known as worm compost. Worms will eat those organic materials, which will later become compost as they pass through the worm’s body. Instead of using the waste disposal system on your sink, or even doing nothing about your organic residuals, you should consider making compost from your scrap foods, making it a better alternative in comparison to sink disposals, which are not so eco-friendly as they use a lot of water. There are few different ways to compost such as, automatic composters (that require electric power), bins that use the bokashi method (which consists in mixing the food scraps with bokashi (which is an inoculant of beneficial microorganisms) that will promote fermentation. In this article, we will focus on worm composting. The first step is to buy a compost bin that can be used indoors. Please take a look at our article on our favorite compost bins, and find the one that will suit you the best! The compost bin should be in a handy place where, of course, will not block the passage. Next to the kitchen usually is more suitable. It is a good idea to place it under the sink or in a closet. Keep in mind that it should be kept in a cool place with temperature ideally in the range of 57 to 77 Fahrenheit. The first level of compost will allow the air to pass through as well as facilitates the drainage. A layer of smooth rock loosely placed on the bottom of the bin will help. 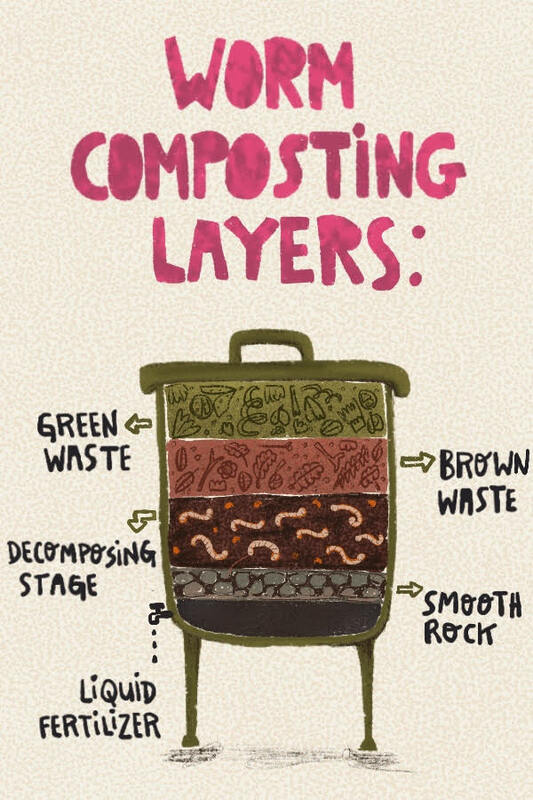 When you start to add to your compost it is easier to think in layers: start with the bottom layer of coarse materials to further enable the air and drainage passage, and then layer between “brown” waste and “green” waste. “Brown” waste may consist of, autumn leaves, wood chips, sawdust, pine needles, paper towels, newspaper and coffee filters, and “green” waste consists of, food wastes, fruits and vegetables, egg shells, tea bags, coffee grounds, grass clippings, and weeds. Another tip is to add a layer of soil on top of each layer of waste because that will help speed up the process. Hint: Combine shredded paper, soil and just enough water to dampen everything. Put the mixture into the tall bin and fill it about 3 to 4 inches deep. Add your worms to the mix and let them get used to it for a day before you start feeding them. It should be moist, but not forming puddles. You can buy earthworms online. A pound of red wrigglers are a good choice since they will consume waste quickly, but earthworms work too. Click here to order your red wriggler worms from Uncle Jim’s Worm Farm! Be aware that worm compost bins will produce more worms as well as higher quality compost! 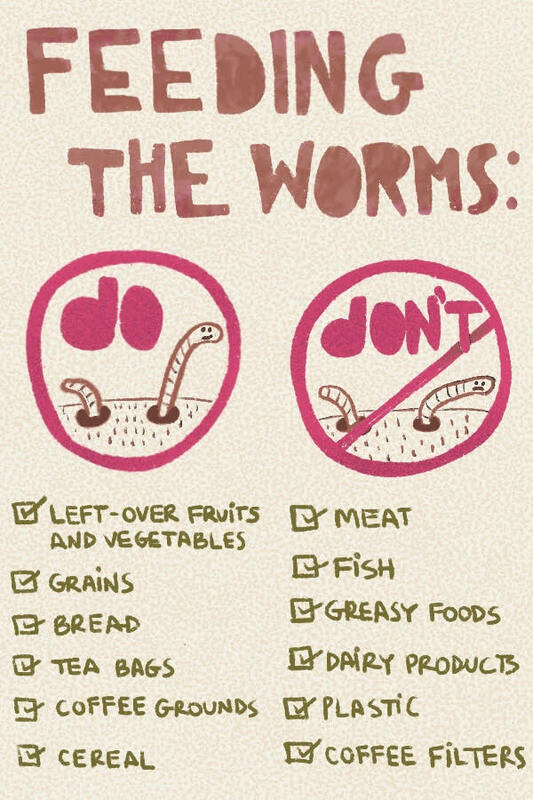 Worms like to eat many things that we eat. Collect food scraps, such as left-over fruits and vegetables, grains, bread, tea bags, coffee grounds and cereal in your food scrap container as you prepare and clean up after meals. Do not include any animal by-products (fat, bone, dairy, meat, waste). Also, keep in mind that it may take the worms longer to process woody or dry items like stems or the outer layer of onions. Worms will eat paper as long as it is thin or cut into small pieces, but they will not eat plastic or fabric tea bags, coffee filters or the labels. Avoid overfeeding in general, especially tomato and citrus (it should not make up for more than 1/5 of the total food offered to the worms). Never feed Meats, fish, Greasy foods, Dairy products, Twigs and branches, Dog/cat feces or cat litter. Keep in mind that the best thing to do is to feed the worms once a week in small amounts. It is an excellent way to avoid “smelling issues” since if you feed them more than they can process, the scraps will accumulate and make the compost bin quite stinky. If the worms are processing the scraps too slowly, the best thing to do is to chop up the scraps into smaller pieces or even reduce the amount of organic matter you feed regularly and stock them in a kitchen compost pail. Starting your worm compost bin with fewer worms is a good way to go until you better understand their behavior and figure out what the ideal worm population should be. Take your organic residues to the bin. Add in a handful of shredded paper. Place the food scraps on top of the paper. Cover the food scraps with the brown scraps and wet paper to avoid attracting flies. Keep adding dirt and moisturized paper to the bin until the compost produced by the worms can cover the food scraps. Always pay attention to what the worms are eating and what they are not. Keep in mind that they may eat some of those after cutting into smaller pieces. Use the liquid at the lower container as fertilizer on soil near plants (outdoor), or water it down to use indoor. If your worm bin becomes overpopulated by worms, you can share some with friends, release some in your yard or start a new worm bin! When is it time to harvest your compost? The right time to collect the compost is when the contents of your bin have turned to brown earth like worm castings. It will be the right moment to harvest your compost and to make new bedding to your worms. To harvest your compost, push the partially composted food scrap to the middle of the bin and add more food scraps so that the worms will end up heading to the new food. Once they move to the newly added food pile, you will be able to remove the castings without taking the worms out. Making your fertilizer is eco-friendly and can become a fun hobby and a remarkable educational activity for your kids. Get started and do your part to make this world a better place. Did you like this article? Please leave us a comment! Let’s live a green life! How many times per day do you remind yourself that you are alive? And that you are a life, living on a tiny planet that orbits a small star in a galaxy with approx 200 billion stars in an observable universe that contains at least 2 trillion galaxies? We are so fortunate to be here! We should remind ourselves of this more often. It helps us to put everything into the right perspective and tells us that life has to be treasured. Life on Earth is the consequence of the combination of several factors such as having liquid water, minerals, atmosphere, magnetic field, the ozone layer, among many others. The steep populational growth that we have seen, which drives an ever-increasing hunger for consumption of natural resources, is directly impacting our little blue planet’s fragile balance. Our environment allowed life to be here, and we must take good care of it so that our environment can continue to take good care of us. We must do all we can to leave, for the future generations, a better planet than the one we found. It is our responsibility to live a green life! According to recent reports from the United Nations, the way we are using our natural resources is unsustainable and is increasing at a fast pace that may cause irreversible damages to our planet. The extraction of primary materials has more than tripled in 40 years, fueled by a rapidly growing middle class. Reports from the World Trade Organization show what we all know, but many refuse to understand: the way we consume our “economically viable” natural resources is unsustainable, and many of those resources are at risk of being entirely consumed sooner or later. Critical resources like water, petroleum, gas, charcoal, foods, metals among several others are at risk and we may be moving sooner or later towards a mass extinction of up to 75% of all the species, a phenomenon that has happened 5 times in the past 540 million years, which for the first time will be caused by us, humans. The UN estimates that by 2050 (when human population shall surpass the mark of 9 billion people), the amount of food produced on our planet will need to increase by 70%. To accomplish this, we will need to deal with relevant obstacles like global warming that impacts agricultural production in many countries. Recent data shows that currently, one out of every six inhabitants of our planet suffers from hunger. What will this look like 50, 100, 500 years down the road? The UN alerts that 2.1 billion people don’t have access to potable water at home. If we keep the current pace with regards to the consumption and devastation of nature as a whole, by 2050, 75% of the global population may have difficulties to access potable water. What we know for sure is that one day we will finish consuming all our reserve of oil. There are many different estimations and opinions about when it will happen, but they all agree that it will happen. The way we produce energy is still highly dependent on the petroleum chain, but inevitably we will need to learn how to live without it, which may not be that bad of an idea after all. Copper is one of the most utilized metals by humans. We use it in electric wires, all sort of electronic equipment, jewelry, to mention a few only. We may entirely consume our reserves by 2100. Fortunately, copper, as well as several other metals, can be recycled. Those are just a few examples and should be enough to make us reflect on what each one of us can do to help. The short answer is live green! What can we do about it? Decide to embrace a green life! We can’t change everyone, but we can improve ourselves toward living an eco-friendly and sustainable green life and influence others to do the same by becoming a role model to be followed. Our attitudes are a lot more persuasive than our words. So, live your life as green as you can because this is the best way to promote the real changes that our planet needs. Try to reduce the consumption of non-renewable resources. Ride a bicycle to work, use public transportation, share a car drive to work, stop buying things that you don’t need. Replace that “disposable” plastic bag by reusable ones, reuse as many bottles and cans as you can, donate things that you don’t use. Recycle as much as possible. Try to understand where the final destination of everything you throw away will be. Learn how to recycle things at home by yourself. Have you considered generating solar energy at your own home? Wind energy? Rain harvesting? Composting? There are so many things that are under our reach that will make your home and your life more sustainable. We have written several articles on these subjects. You can find the links at the end of this article. Buy products that will not harm the environment and even prioritize products whose manufacturing processes were environmentally responsible. You can check our “eco-friendly products section” where we review and suggest products that we like and that somehow will help us on the mission of preserving our planet for the future generations. We continually search eco-friendly products and fair prices to recommend to our visitors. Are you living a green life yet? Do you care about the conservation of our planet and our future generations? 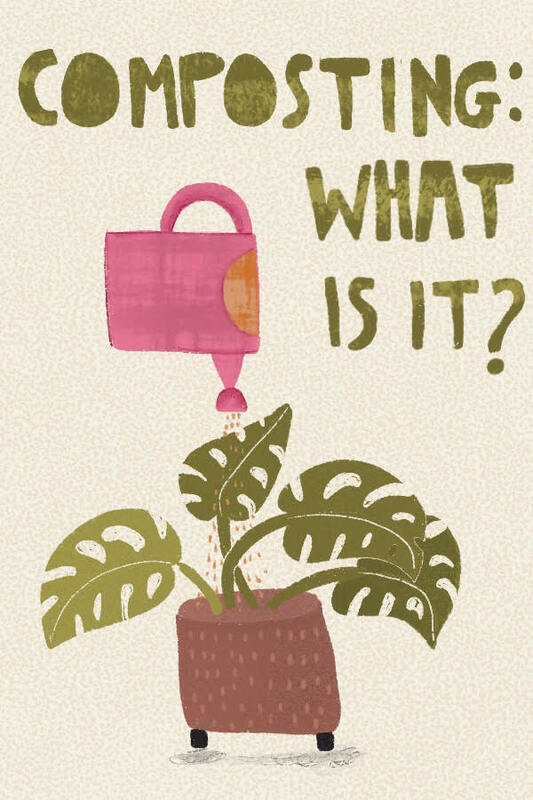 What are you doing about it? Please leave a comment below! The beautiful illustration on this post was created by Karina Busquets, who gently conceded ecofriendly.solutions the right of use on our website. 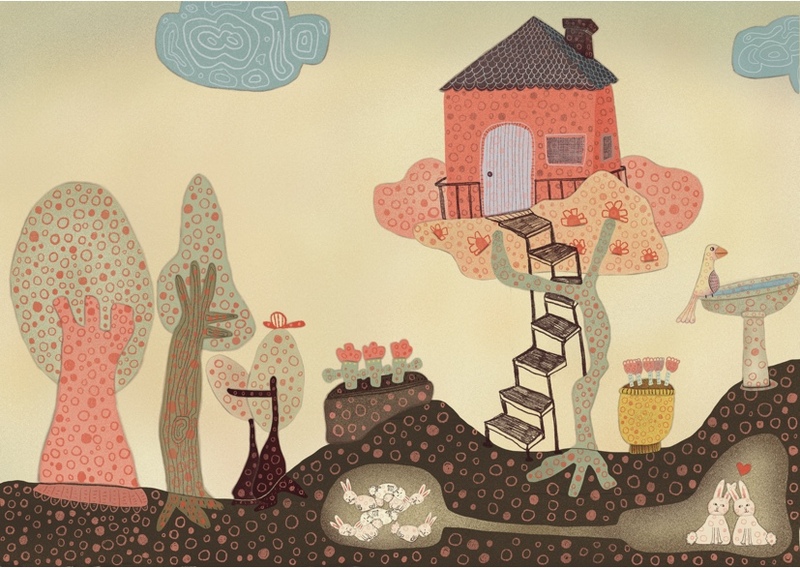 Please click here to visit her website and get to see some of her beautiful illustrations and her unique style.